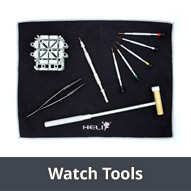 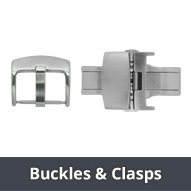 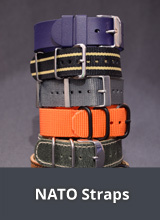 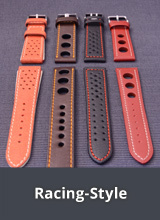 Extra Wide Watch Straps - Here you will wind watch straps with a lug width of 26mm or more. 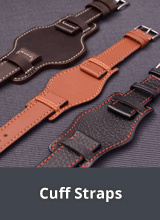 These watch straps are available from a range of manufacturers and in a range of styles and designs at different prices. 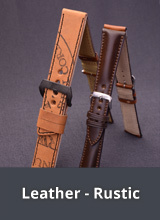 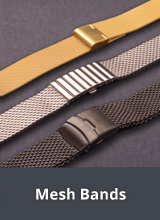 We stock them in leather, synthetic and stainless steel designs. 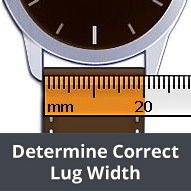 Please check the length of the watch straps in the product categories. 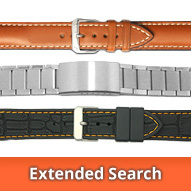 Extra wide watch straps tend to be a little longer than standard watch straps.